Nose Filler Singapore – Many do not have the privilege of being born with a tall or sharp nose. Yet thanks to technological advancements, some have been able to reap the benefits of aesthetic treatments to help them achieve the ideal look. The popular nose filler treatment ranks high among the various procedures. Imagine a way to make your nose bridge higher or nose tip sharper without surgery, and in just 15-20 minutes with immediate results; is this really possible? The non-surgical nose filler has been shown to do just that; without breaking the bank; and you do not have to worry about complications arising from surgical risks. 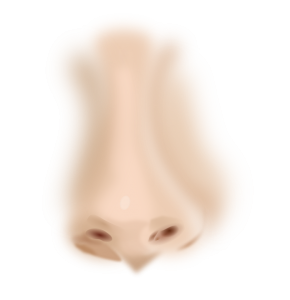 The nose, together with the eyes, is often one of the first few features that one pays attention to at first glance. It is natural and instinctive that people would seek enhancements to his or her nose to achieve the ideal look. While it is widely accepted that a higher nose bridge or sharper nose tip translates to a more elegant and attractive look, few knew exactly how to achieve this ideal look, especially in a non-surgical, painless and affordable way. The non-surgical nose filler is the ideal solution for people who are less into the idea of going under the knife. It provides the same, if not more, benefits. The procedure is only 15-20 minutes, and perhaps most appealing to many, the results are long lasting (1-2.5 years) and immediately visible. A round, flat or button nose is often deemed less aesthetically pleasing. To achieve a higher nose bridge or sharper nose tip, non-surgical hyaluronic acid filler injections are meticulously used to refine the nose’s side and front profiles. Hyaluronic acid is a component that can also be found in other parts of our body; including the eyes, skin and joints. It is a naturally occurring acid in the body that is extremely unlikely to cause any complications when introduced externally. As such, a non-surgical nose filler is widely considered a much safer alternative to surgical procedures. A non-surgical nose filler may also be reversed easily, either by dissolving the acid, or by the body’s natural mechanism; breakdown of the acid over a period of 1.5 – 2.5 years. The filler procedure is thus, as agreed by many aesthetic professionals, a very safe one for facial contouring and feature refinement. The actual nose filler procedure is by and large a quick and painless one, taking approximately just 15-20 minutes with a couple of injections to the center of the nose bridge and tip. After injecting, gentle massaging is done to even out the filler and to soothe any feelings of discomfort. To further minimize pain, both topical numbing creams and anesthetic agents are used concurrently with the fillers to numb the affected areas. There is therefore very little to no pain when doing a non-surgical nose filler. Traditionally, to enhance one’s appearance of the nose, nose implants are surgically inserted in an often agonizing manner. The downsides of such a procedure is apparent; the results are very obvious, sometimes too obvious that it looks unnatural even to the untrained eye. Sometimes the nose implant may require replacement over time as well, making you go through the same or worse agony all over again. With a nose-surgical nose filler, its results are also visibly noticeable upon completion, yet it does not alter your appearance to such an extent that it appears unnatural. The results are noticeable yet not radical; your friends and family probably would notice that you look better, but not to the extent of suspecting you having gone under the knife. A non-surgical nose filler can typically last between 1 to 2.5 years. The duration can which it lasts is also dependent on the brand of the filler used. You should also check and ensure that the fillers used are safe and approved by the relevant health authorities. Fun Fact: The fillers used at S Aesthetics Clinic are all HSA (Health Sciences Authority of Singapore) approved, ensuring that anyone who wishes to go through the procedure with us are guaranteed the highest levels of safety and assurance. For better and more pronounced effects, non-surgical nose filler may also be done in combination with the Nose Thread Lift. The Nose Thread Lift is a procedure to lift and shape the bridge and tip of one’s nose, making it look more defined and taller. Firstly, a nose filler may be used to refine the nasal column such that the tip is made higher. Nose Threads may then be used to lower the width of your nose and bring it forward, immediately giving you a visibly sharper and more defined nose tip without looking unnatural. For such a procedure to work often just 6 to 8 threads are required. Pain is minimal with nose threadlift and negligible with nose filler. “A nose filler combined with nose thread lift, while making the nose bridge and tip more defined, may leave a scar on the nose.” ~ Anonymous. Fact is, such a procedure, either when done singly or in combination, leaves very little chance of leaving any kinds of scar behind. The reason is because no knives are used in the entire process and no incisions are made from start to end. The procedure is likely to be completed with just a few light injections of the needle and gentle massaging. Pain is minimal, though this is also dependent on the doctor performing the procedure. Nose fillers may be done professionally and safely at any of the reputable aesthetic clinics in Singapore. One such clinic is S Aesthetics Clinic Singapore, conveniently located in the heart of Orchard. The clinic has helped countless beauty seekers complete a seamless nose filler procedure, either singly or in combination with nose thread lift. The clinic’s head of aesthetics, Dr Sii Sik Liong, is also known to be meticulous and remarkably gentle in his field, often giving clients an undisputed sense of security and comfort; there is no need for excessive bruising and pain. His eye for beauty is also widely praised; while any certified medical expert may go through the nose filler procedure with you, when it comes to aesthetic treatments, an eye for beauty is equally if not more important than medical skills. It is important not to experience any unnecessary distress before, during and after the procedure. It is also important to obtain the desired results that you are looking for. At S Aesthetics Clinic, people who have been treated by Dr Sii and his team of aestheticians often sing praises of a professional, safe, comfortable and friendly environment. To find out more about the nose filler treatment with S Aesthetics Clinic Singapore, feel free to contact them today for a no-obligation appointment. When doing a nose filler, downtime is usually minimal or not at all. Upon completion of the procedure, there may be light needle marks and redness around the treated areas, sometimes accompanied by some bruising and swelling. These usually resolve themselves within the first few days of treatment. Results wise, they are immediately visible despite the occasional swelling and bruising. Please note that this is after all a medical procedure. The points mentioned here are for reference only. Actual clinical results may vary person to person. Check with your doctor to have a clearer understanding of what to expect for your particular case. The cost of doing a nose filler in Singapore is $856 (inclusive of GST). This is based on a hyaluronic acid filler that may last up to 1 year. If you are keen on filler that may last longer than 1 year, there are such options as well. Talk to your doctor privately and openly to better understand the options available. You may also wish to explore the nose threadlift procedure as an alternative to the non-surgical nose filler. The two treatments may also be done as a combination of better results. Check with your doctor on this to find out the best approach for you. For more information about S Aesthetics Clinic Singapore’s pricing, services or to book an appointment, you may get in touch via phone at +65 6235 0338 or via this contact form. The clinic also accepts walk-ins at 9 Scotts Road, #07-07, Scotts Medical Centre (Pacific Plaza), Singapore 228210. Frequently asked questions on dermal fillers. What is a filler? What kinds of fillers are there? Fillers or dermal fillers may generally be segmented as one of the 3 categories; temporary, semi-permanent and permanent. The fillers used in most nose fillers contain hyaluronic acid, a type of temporary filler that may last up to 2.5 years. The acid, a naturally occurring component in the body, ensures that implications from its use are very unlikely. Likewise, negative immune reactions to the injected acid are similarly unlikely. Fillers using hyaluronic acid are considered one of the safest in the aesthetics filler arena. Apart from hyaluronic acid fillers, however, there are also other brands that also excel in safety and effectiveness. Discuss with your doctor to find out more about which brand you might prefer. Dermal fillers that are not hyaluronic acid based generally work by having an initial lifting effect on the skin for quick results. Subsequently, the non-hyaluronic acid based filler stimulates the regeneration of collagen at wherever they have been injected. This helps to replenish the collagen levels in the skin that may have been depleted over time, thus reversing the aging process. For such fillers, the effects are typically more pronounced some time after the filler has been administered. The person may have to wait a little longer for the filler’s full effects. This does not, however, necessarily mean that non-hyaluronic acid based fillers last longer than hyaluronic acid fillers. New, improved hyaluronic acid fillers may work on par with other types of fillers, depending on its viscosity. Consult with your doctor to find out which type(s) of filler may work best for you. The fillers that last the longest are semi-permanent fillers. Such types include plastic and silicone fillers which have been proven to be the longest lasting of all types of fillers. Such fillers may last for a good number of years. The downside to such types of fillers, however, is in its greater tendency to cause complications such as scarring and infection. Why does the effects from a filler injection seem to decrease so quickly 2 days after its completion? Hyaluronic acid is a naturally occurring component in the body that may be easily broken down without cross linkages. A good portion of hyaluronic acid that has been injected into the skin will be broken down by the body if it is not cross linked. 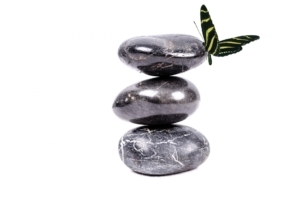 The acid that stays in the body is thus those that are cross linked; this is the form that will last and prevent the body from breaking it down. This is also why a hyaluronic acid filler injection may seem to deplete so quickly in the first 2 days; because of the process of established the much more stable cross linked hyaluronic acid. Typically, the more the hyaluronic acid is cross linked, the longer its effects will last. Another possible explanation for the rapid depletion of dermal fillers in the first 2 days is in the occasional minor swelling of the skin after injection. As this swelling tends to subside coincidentally within the first 2 days, it might seem that the effects of the injection is decreasing quickly. As a rough guide, subsiding of swells may lead to a reduction of results by around 20-30%. Which filler type should I choose? Does it mean the filler type that lasts the longest means the best because of its lower cost? 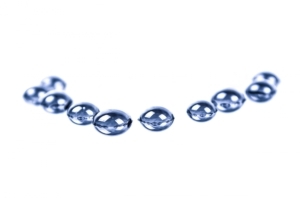 The longer a hyaluronic acid filler lasts, the greater its viscosity. This in turn translates to a harder texture and greater possibility of leaving lumps in the treated area. Depending on the area being treated, harder fillers may not be appropriate for treatment of certain facial areas. The cheek areas, for example, will typically require a softer form of filler, even though harder ones tend to last longer. The applied filler also has to look and feel natural to touch after it has been applied.